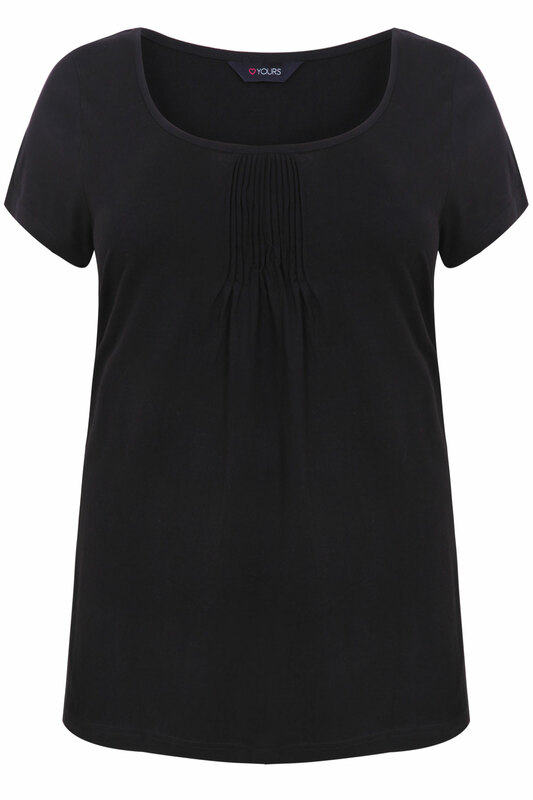 Plus size black pyjama top with pintuck pleated detail to the front of the garment. Featuring short sleeves and a scoop neckline. Made from a super comfy stretchy jersey fabric.